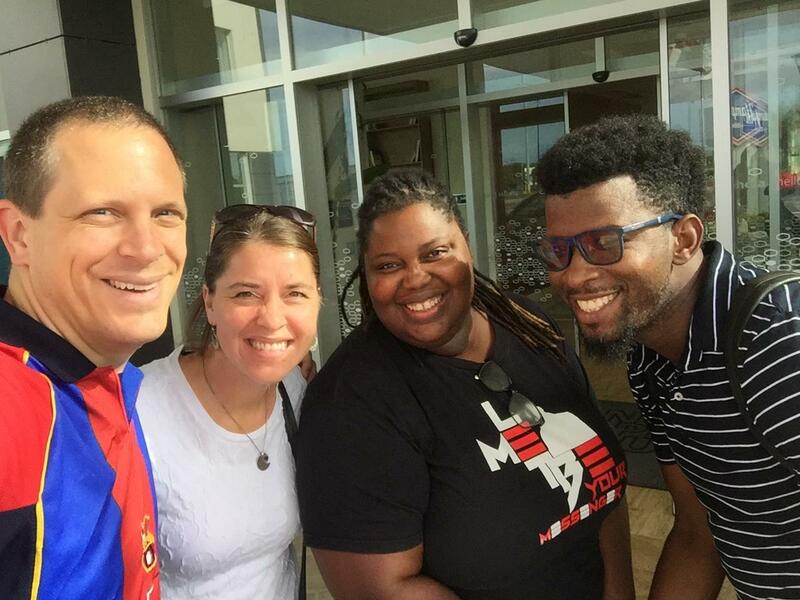 From September 5 to 9 of this year, Crystalla Williams and Cleon Cadogan, volunteer missionaries that were sent to the Genesis site of Grenada in August 2016, traveled to Santo Domingo, Dominican Republic to enjoy a retreat after finishing their 2-year assignment. They participated in workshops addressing reverse culture shock and also prepared for sharing with churches and supporters the message of what God has done in and through them. Scott and Emily Armstrong, coordinators of this initiative, thanked Crystalla and Cleon for their service and also congratulated them for their effort and commitment to God’s mission. The Genesis missionaries shared some of the experiences of working with the existing church and planting a new church on the island, and they recognized God’s faithfulness, love, protection and provision during their two years there. We thank God for Crystalla and Cleon, and we ask you to join us in prayer for them. Currently they are with their local churches and home districts sharing what God has done in this time and also encouraging others to get involved and continue supporting the missionary work. Praise the Lord for the lives of Crystalla and Cleon! And, thanks to every person and church that supported them by encouraging, praying, and giving generously. May God continue to bless and use them as well! “I always thank my God for you because of his grace given you in Christ Jesus. He will also keep you firm to the end, so that you will be blameless on the day of our Lord Jesus Christ. God is faithful, who has called you into fellowship with his Son, Jesus Christ our Lord.” (1 Corinthians 1:4, 8-9).